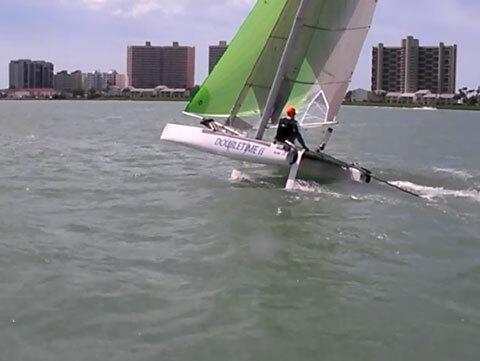 This is a proven design, this was an Alter Cup boat in 2007 and still sails strong today. 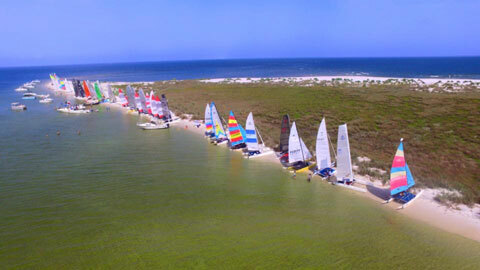 Numerous successful regattas at Ocean Springs Yacht Club, Ocean Springs, MS as well as Gulfport, FL and the Alter Cup in Melbourne, FL. 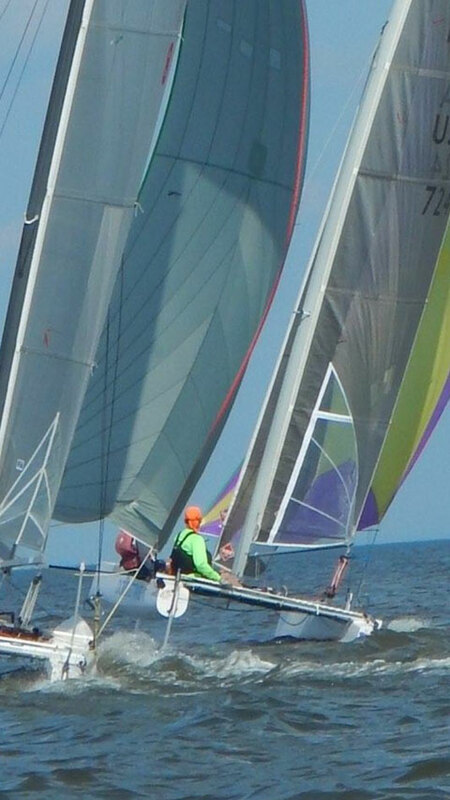 The F-16 is the PERFECT boat for one or two people up to about 350lbs... Great for husband/wife, father/son, or two teenagers for some serious intense and thrilling sailing... or just put the main sail up, no jib or spin and chill out "A-Cat" style solo. The official spec of the Blade is 240lbs, but I've lightened a few pounds it by removing the pelican striker, switching to dyneema, eliminating lots of shackles, jib block pylons, swapped aluminum for some carbon, etc.. 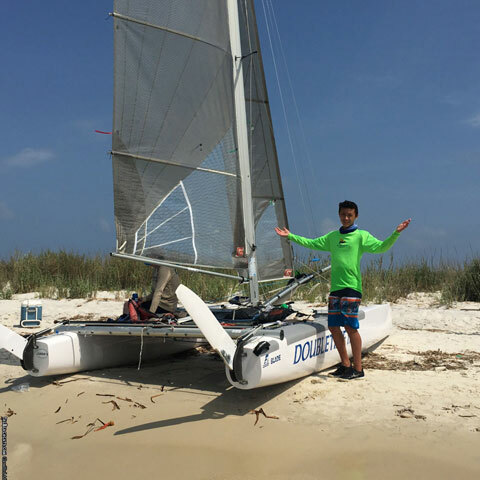 I'd estimate it at 230-235lbs.... A Hobie 16 is almost 100 pounds heavier... Makes a HUGE difference on the beach... and the Blade is far more nimble and fun. Ironically, it actually has about 1 square meter LESS main than the H-16, but not matter. It's a little rocket ship. 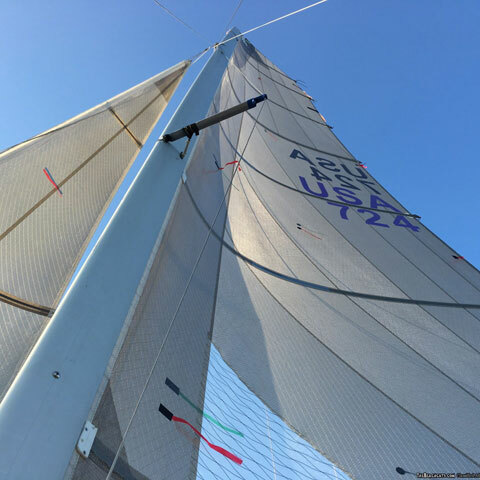 If you want to learn the beautiful sensation of sailing downwind with a spinnaker on 1 hull, smoothly carving the waves...this is the ticket. 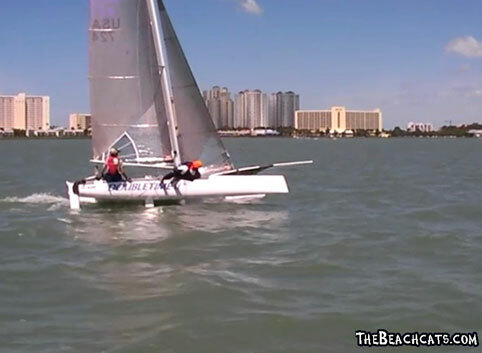 You can legally race singlehanded w/o the jib, or double handed with the jib. Very competitive w/all the common formula boats. 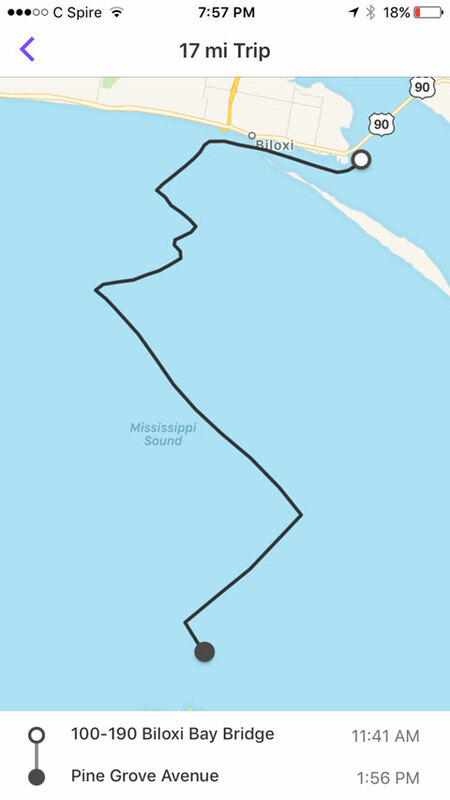 As it is a 2007 design, formula boats have continued to modernize and I've integrate those updates into this boat. Basically if it's on a new formula boat, it's on this one. Fully optimized with a focus on simplicity. Rudders modified to lift FULLY up, great for backing the boat on to beaches and ensuring no one bumps or runs in to the rudders when the boat is on the beach. Rudders go up just like those of an F18HT. Spliced dyneema on almost anything you can think of, lines, soft shackles, etc. What does it need? Trailing edges of boards could use a mild refinish. Less than $100 job I'll probably get done soon. Minor scuff here and there, 10 year old boat, but thousands less than a newer boat and all the same fun, speed, etc. 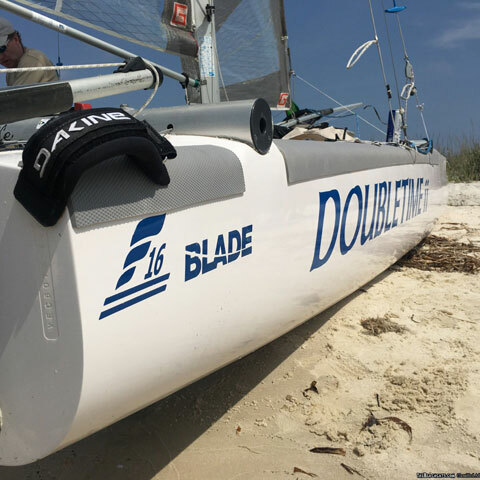 Bottom line is this is an excellent boat, I've had a lot of fun sailing and caring/upgrading it... Selling b/c I'm moving to Europe this summer where THE catamaran is the F-16, so I will pickup a cool Italian F-16 one over there.